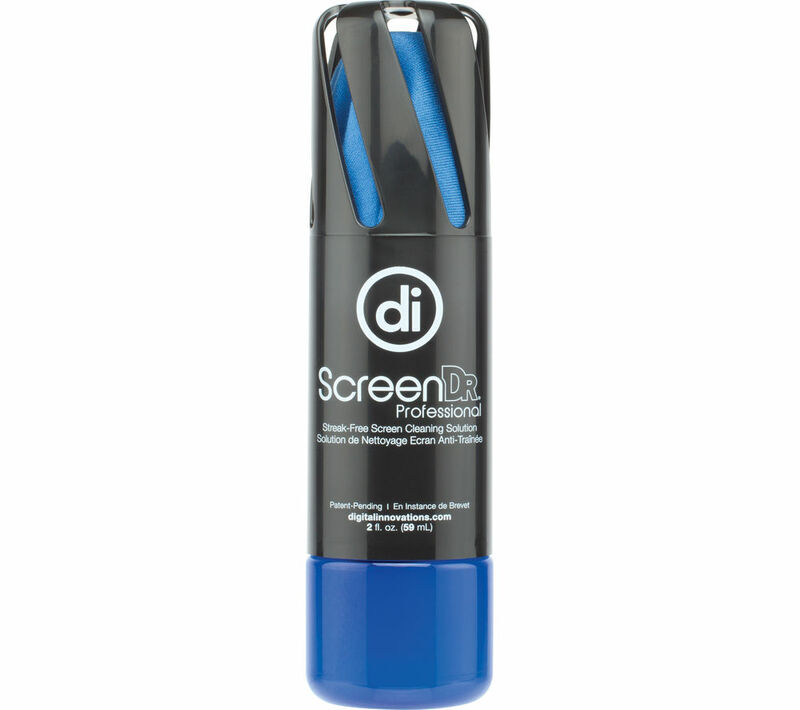 Overview & specs of Allsop Digital Innovations ScreenDr Screen Cleaning Kit 59 ml by Currys PC World. Top features: - All-in-one bottle design for convenient storage - Antimicrobial formula helps surfaces stay cleaner for longer - Suitable for all screens types including laptops, monitors & tablets All-in-one bottle designFor convenient storage the Digital Innovations ScreenDr Screen Cleaning Kit features a patented StorDry bottle design that holds the microfibre cloth inside the vented lid. This helps keep the cloth clean, dry and mildew-free and always available when you need it.Antimicrobial formulaHelping your surfaces stay cleaner for longer, the antimicrobial formula helps prevent the re-growth of stain and odour-causing bacterial and microorganisms.Suitable for all screen typesThe eco-friendly, alcohol and ammonia-free solution is safe to use on monitors, laptop screens and tablets. It delivers a streak-free, anti-static finish that removes grease, smudges, fingerprints and dust. We are comparing prices for Allsop Digital Innovations ScreenDr Screen Cleaning Kit 59 ml in new condition sold by Currys Pc World.